Catherine de Buyl and her entire staff are extremely sad to announce you the death of FLECHE DU MURY MARAIS Z (Feinschnidt X Alme), who had to be put to sleep at age 28, in the stable she was born in Péruwlez, Belgium. 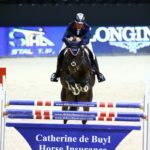 FLECHE gave birth to the international showjumper LINGOT DU MURY MARAIS Z (renamed L’ESPOIR Z), before starting her own career under the saddle of the Mury Marais international rider, Patrick Mc Entee. She had then been sold to Vittorio Orlandi, and was ridden by Guido DOMINCI. Together, they successfully took part in many Nations Cups, under the Italian Flag. She ended her sport carrier with Pilar CORDON MURO, thanks to whom we had the opportunity to get her back at home, aged 16, where she was then given the opportunity to perpetuate her incredible bloodline. 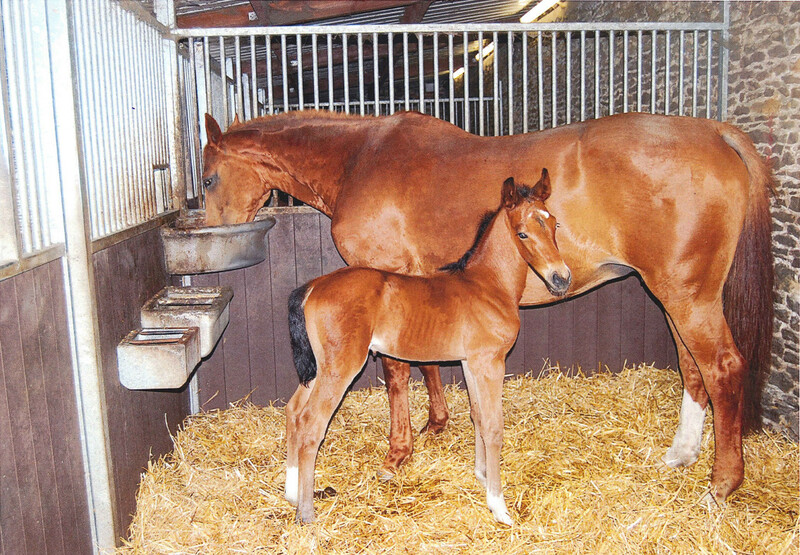 Her last foal, BEST OF MURY MARAIS Z seems to be alike his uterine brother L’ESPOIR Z, and placed 5th at the 5 YO Final in World Breeding Championships in Lanaken, last September.